Ever dreamed of owning a Victorian beauty in the heart of Savannah? Looking for a licensed vacation rental for sale in the Victorian District? Ready to live the downtown Savannah lifestyle right off Forsyth Park? Now’s your chance! This is a City of Savannah STVR-licensed vacation rental property in the best run management program in town. This address has 3 years of successful vacation rental history with accounting records available for qualified buyers. Beyond the 3 bedroom /1.5 bathroom interior, the home boasts loads of additional square footage in the form of an above-ground basement laundry and storage room, along with a spacious attic. Situated one block from downtown’s only major supermarket and one block from Forsyth Park’s playground, tennis courts and exercise loop, this home is exactly what tourists and downtown residents alike are looking for. Known on the Savannah vacation rental circuit as the “The Duchess”, this home is rich with character & history! The owner lovingly calls this home “The Duchess” as it is on Abercorn Street, named after the Duchess of Abercorn. 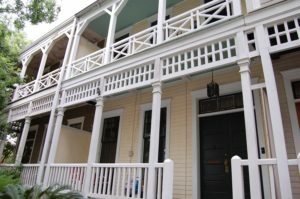 Owned by an antiques/art/music enthusiast, this is not a cookie cutter vacation rental, this is a real Savannah experience. You will find many personal touches here. Local art including paintings from Savannah College of Art & Design graduates and period antiques make this a classic Savannah home. Last but not least…Does it get any better for St. Patrick’s Day than having two front porches overlooking the Parade route on Abercorn Street!?! Contact us to schedule your showing of 914 Abercorn Street today! 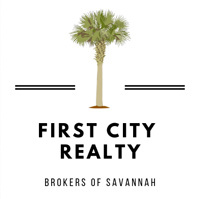 As the principal broker, I founded First City Realty as a boutique real estate firm to represent buyers, sellers, and landlords in Savannah, Georgia and surrounding areas. 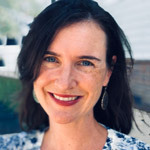 With a focus on understanding the diverse needs and interests of our clients, First City Realty provides exceptional service and superior results.